Born and raised in Sandersville, GA, on October 31, 1949, Willie L. Brown , affectionately known as “Butter Kup” is the son of the late Mr.Linton and Lola Mae (Brown) Parker of Sandersville, Georgia. Willie worked at Burgess Pigment Company for over 30 years and served 2 years in the United States Army before being honorably discharged. 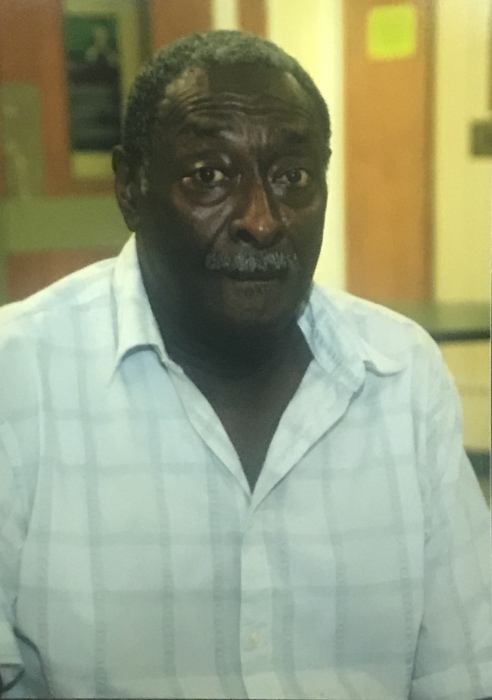 His life, memories, smile, and his willingness to help others will always be remembered and cherished by his devoted and loving wife, Mrs. Betty (Biggins) Brown; brother, Mr. Leonard Parker; four aunts, Ms. Majorie Jones,Sandersville,GA, Mrs. Burena (Robert) Hicks, Davisboro, GA, Mrs. Mary H. Peeler ,Sandersville, GA, and Mrs. Mary F. McBride, Tennille, GA; Uncles,L. Junior (Lizzie) Brown, South Bend, Indiana, Mr. John Lee Brown , Davisboro, GA, devoted nephew, Mr. Anthony Hunter ,Rota, Spain; devoted niece, Ms. Stephana Biggins,Jacksonville, FL; sisters-in-laws, Ms. Willie Maude Turner, Ms. Mary F. Bauford, Ms. Shirley Williams, Jacksonville, FL, and Mrs. Carolyn Darrisaw ,Tennille, GA , and a host of other relatives and close friends.